Many people who visit the UK focus on London, which is a great city with lots to do. However there is so much more to the UK than London, just as there is more to America than New York. A scenic spot to the north with something for everyone is Yorkshire. In Yorkshire you will find beautiful rolling hills and waterfalls in the Yorkshire Dales National Park, lovely castles and country house estates full of history, art and architecture, quaint villages, unique products, and a meld of cultures. 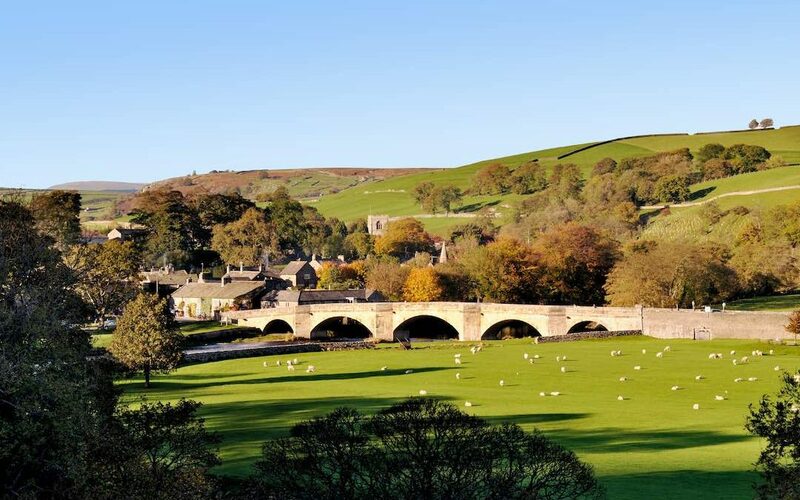 We chose to stay in the small village of Askrigg in the Yorkshire Dales National Park, and use it as our base from which to explore the rest of Yorkshire. The scenery here is breathtaking with rich green rolling hills, winding blue rivers that spill over several waterfalls and interesting terrain. The waterfalls at Asgarth and Hawes are particularly beautiful. The drive from the town of Hawes to Thwaite will provide you with views over the Dales and into something called the Buttertubs—a most unusual rock formation off the side of the road used in olden times to keep butter chilled. Much of this area can also be viewed by train if you want to leave the driving to someone else. Brimham Rocks in the Nidderdale is another unique park that will wow you with rock formations and spectacular views that are second to none. Driving through the Nidderdale will afford you breathtaking scenery at every twist and turn of the narrow roads. In Yorkshire you can experience a range of small quaint villages like Askrigg and Hawes to larger towns like Ripon, Harrogate and Knaresbourogh and even sizable city, York. And if it’s castles you want, there is none better than Bolton Castle, once used by Mary, Queen of Scots.